Introducing “Artisan Approach” – a new segment in The Sche Report in which we focus on Designers who possesses an artisanal edge and straddle delicately both worlds of fashion and art through their design process and approach. If you follow The Sche Report, you know that we have been emphasizing the emergence and the importance of “hand-made” quality as it is both an aesthetic and a product strategy increasingly popular with high-end designers and consumers alike. Therefore, this will be our platform to showcase some specific lesser-known designers, or artisans, and how their work inspires and leads a movement that is gaining steam season by season with sound reason. 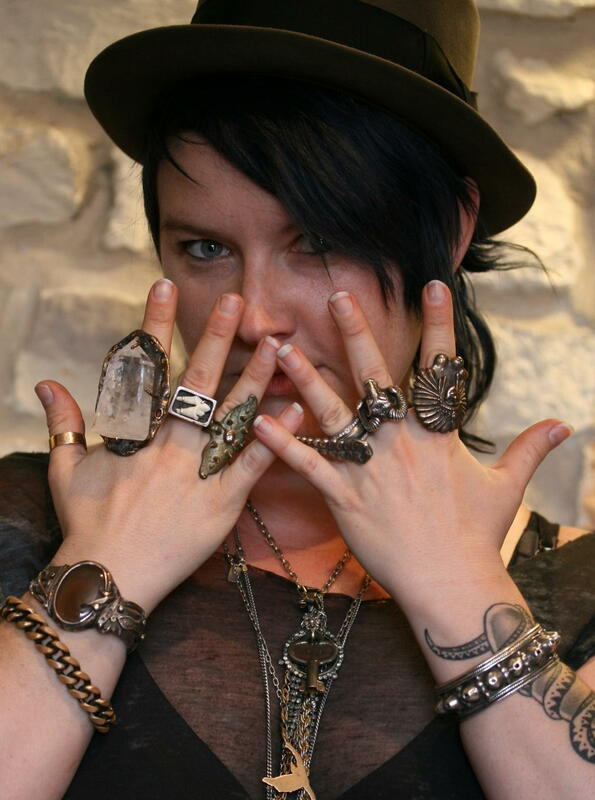 On my recent trip to Austin, I met a jewelry designer at an amazing vintage store called Laced with Romance. Rima Sheegog of Rima Hyena was in the store delivering some of her pieces to the owner and I caught a glance at some of her work and was really amazed at her aesthetic and craft. 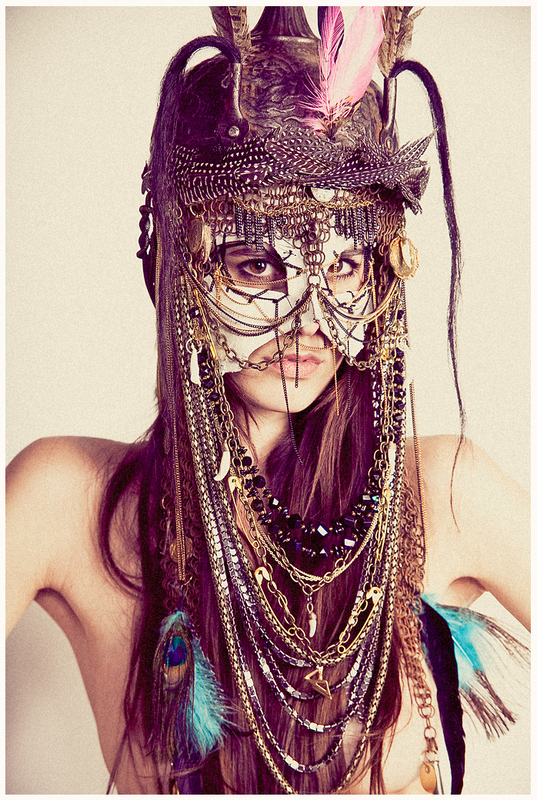 One of the first pieces I saw was a giant intricate hand-made headpiece with a mask adorned with feathers and chains that blew me away with it’s detail, materials and talisman spirit. 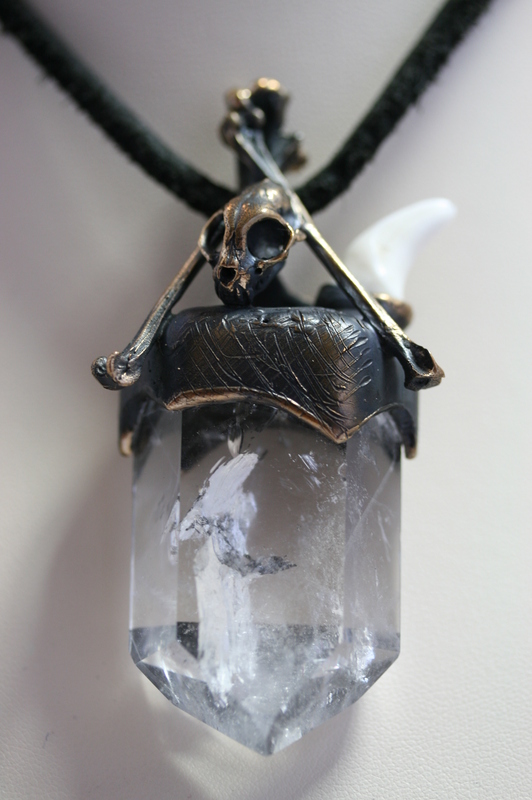 Besides feeling current and dramatic, the piece relates to all the statement jewelry trends we’ve been seeing for the past few years as well as the idea of the Gypsy and adornment. 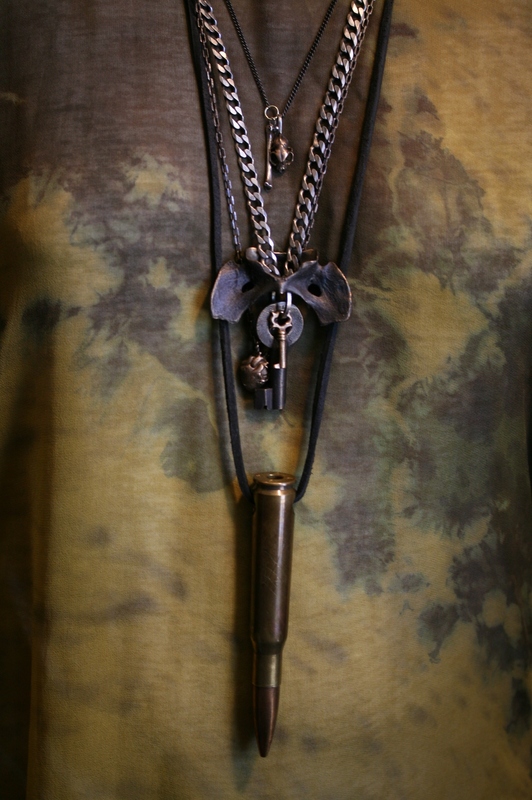 Rima Hyena’s pieces specifically have an edge and raw attitude to them and as I looked further into her collection and talked to her more about her work, I was inspired even more to share her special line with you. The full name of the line is “Rima Hyena and the Children of the Coming Bright Day“, and Rima Sheegog is a designer/artist/artisan in every sense. 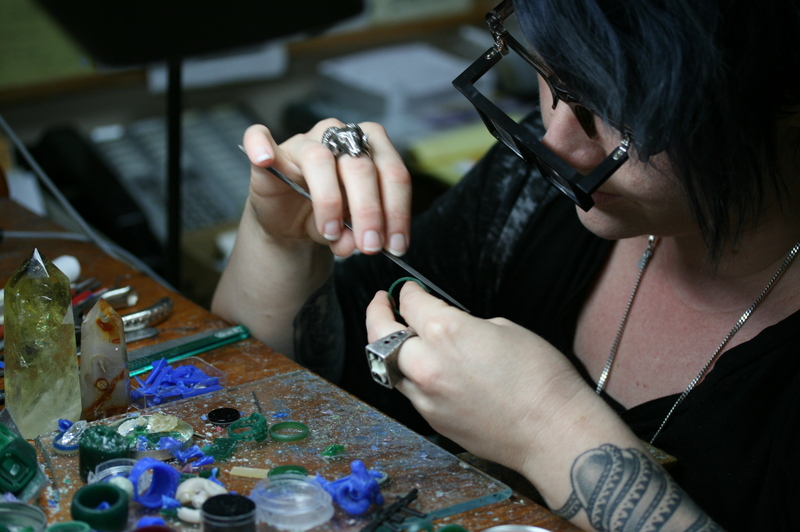 She has a Masters of Arts degree in metalsmith/sculpture and works as a custom jeweler and metal caster at a high-end jewelry boutique in Austin, Texas. Rima says she makes jewelry for “people who want something special, who feel something special when they see it/wear it, not because it matches their outfits”. The “something special” that she mentions comes from her background growing up close to nature coupled with her interest in symbolism, myths, and rituals. 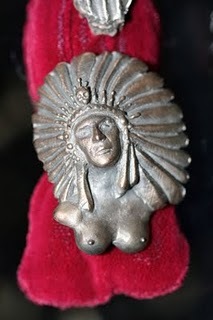 She likes the “odd, old, and the sacred” and considers self-adornment as a true form of expression communicating “personal mythologies, displaying your status, creating your image, or remembering something or someone”. Her jewelry is not predictable and always comes with meaningful narratives, though not always explicit, challenges the person who comes across it. 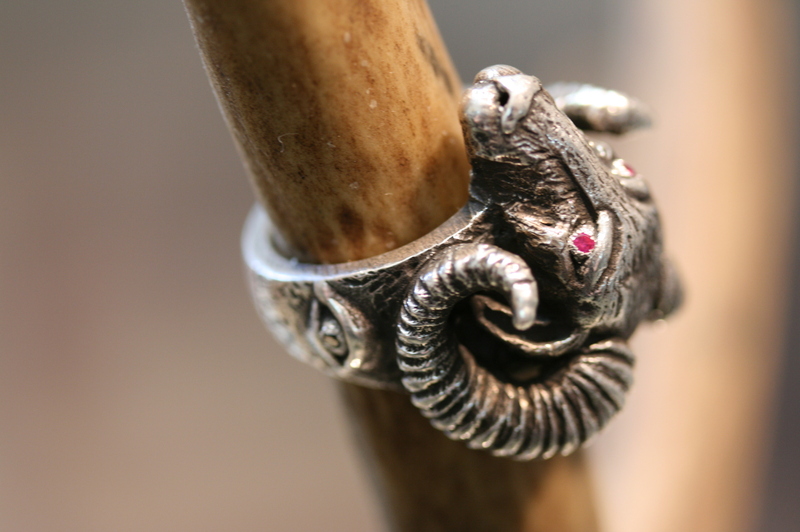 Looking at Rima’s jewelry, one can easily see her skills as an artisan and her inspiration from all things mystical. Her chief inspirations include our existence, nature, science, art, music, mysticism, and even pondering theories and philosophies. 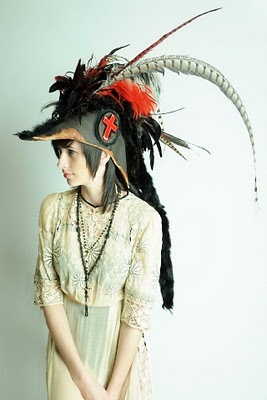 She is also particularly fond of studying old ceremonial occult adornment and any shamanic topics and images she can find. All of this helps her search for the meaning behind the symbols the human race has come to embrace and how that sort of understanding can in turn inspire her designs. Rima calls herself a purveyor of “trinklets for the modern mystic”. 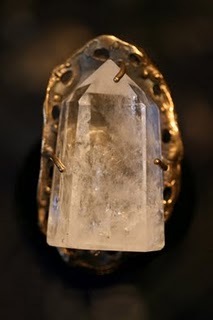 Besides utilizing this medium to explore symbolism, as a jewelry designer she also loves to play with proportions and mixes metals with crystals to create a tough and rustic look which reminds me of Pamela Love but even more authentic and personal at the same time. 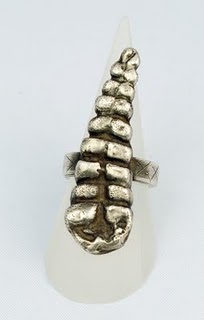 The other impressive part of Rima Hyena is the technique that goes into creating these amazing pieces. According to Rima, some of the techniques she uses date beyond the ancient Egyptians and it is surprising to see how some of the tools she uses today are still closely similar to the ones thousands of years ago. Needless to say, all the pieces are hand-made to a very high and refined quality. The result is easy to wear yet visually striking jewelry that will make you feel instantly special knowing the thought process and labor of love that went into each individual piece. 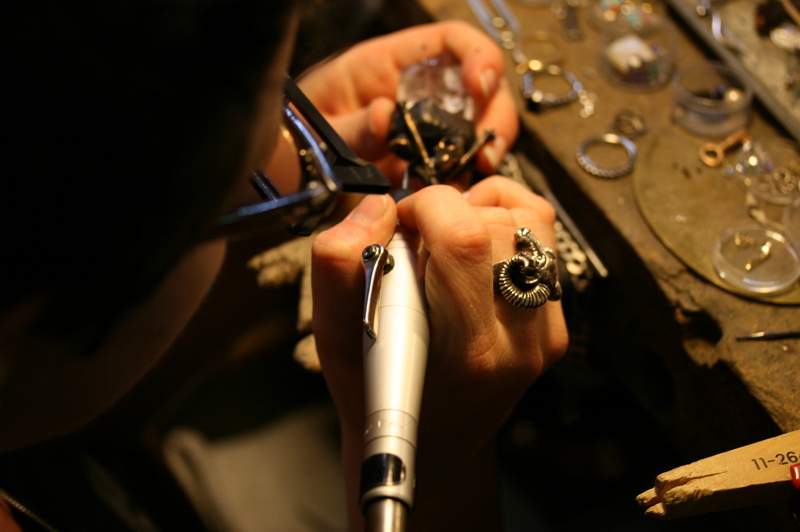 Her approach to jewelry making is unique to her ethos and raison d’etre and the aesthetic is right-on with today’s more casual skewing high fashion market. 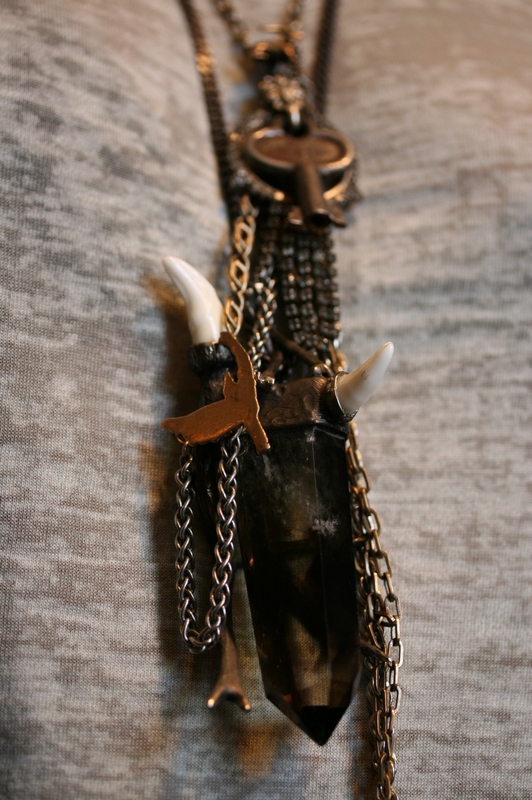 Rima Hyena is not for the feign-hearted but each piece comes with great rewards. She is one talent to be reckoned with and her artisan approach to fashion will only add value to her creations as well as her worth as a unique designer. Keep your eyes on this one, I know I am. 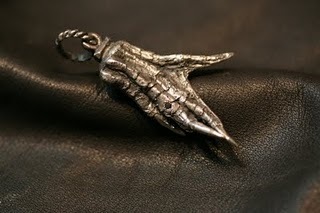 To find out more about Rima and her jewelry line, you can visit her website. To buy some of her pieces, visit Laced with Romance’s online boutique. The store itself has a huge assortment, so if you were looking for something else, I’m sure you could call and they would let you know the rest of the assortment. Make sure you check out the rest that this Austin store has to offer as I absolutely LOVED their Stevie Nicks meets Jane Birkin aesthetic. 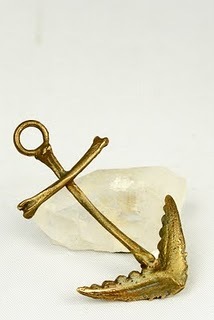 Reach out to Rima at rimahyenajewelry.com! Im sure she can make you something amazing!